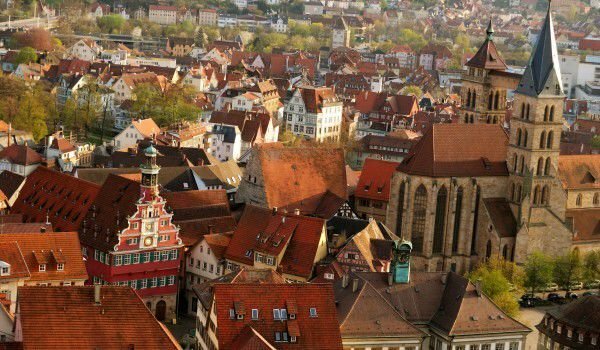 Charmingly situated in the heart of one of the largest wine regions in Germany, Stuttgart is a modern metropolitan city that enchants visitors from around the world with its many cultural and historical monuments, which are preserved until today. Stuttgart is the capital of the German state of Baden-Würtemmberg, an interesting tourist destination not only for its magnificent and picturesque panorama that fascinates, but because of its beautiful gardens and parks, large squares, splendid palaces and buildings that are preserved in various architectural styles. All this goes hand in hand with cultural diversity, which is noticeable in the city. Stuttgart is the capital of Baden-Würtemmberg, with a population of about 600 000 inhabitants, it is the sixth largest city in Germany. It is known as a great industrial center and major port on the river Neckar. Highly developed in Stuttgart are the automotive, military, electro-technical, optical, chemical and polygraph industry. Particularly attractive in the city are the headquarters of companies "Robert Bosch" and "Daimler Benz". One of the most respected car brands, Mercedes and the Porsche-Museum are perhaps the main attraction factors for many tourists. The history of Stuttgart began in Roman times. Then the village was formed around a mineral spring, and from the 10th century it officially operates as a separate village. 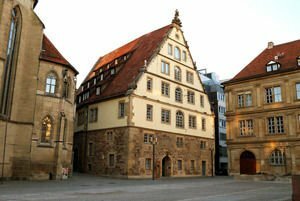 The first written evidence of Stuttgart dates back to the 12th century and in the 13th century it has official city status. In 1482 Stuttgart is the capital of Württemberg County, and from 1482 to 1918 the area was the capital of Württemberg. In 2006 the "Mercedes Benz" museum opened. It is located in a modern, custom-built building with the unusual form of double helix. Inside, visitors have the opportunity to see more than 150 cars, most of which are rare and unique models. A hundred years ago, some of them were designed by Karl Benz and Gottlieb Daimler. Also, visitors can see cars that were owned by celebrities. Among them are the Mercedes of the Roman Pope John Paul II, and the car which Princess Diana drove. Each year in Stuttgart are held attractive and colorful festivals, which have earned worldwide popularity for the city. Among the most interesting are the Spring Festival and the elegant Summer Festival, which fascinates visitors with its white pavilions, countless fairy lights and lanterns. This is one of the most colorful and celebrated festivals throughout Germany. A very nice visit is a stop at the Stuttgart wine village, which is a unique place for relaxation with its 120 beautifully decorated vine bowers. In late September, the degree of the mood increases to maximum, due to the traditional beer festival. At this time of year, Stuttgart is filled by the joyful voices of beer lovers from around the world who come here to unwind with numerous fairground attractions or simply to indulge in alcohol under a large awning. About 5 000 visitors come here in September, which makes the beer festival in Stuttgart in one of the largest such events not only in Germany but also worldwide. At Christmas, the beer festival in Stuttgart is replaced with a nice Christmas bazaar.